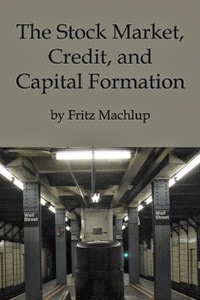 Economist Fritz Machlup was an early Misesian who wrote this book as an early study in the workings of the business cycle. In particular, he investigates and explains the relationship between expanding credit, monetary policy, and rising stock prices. The German edition was written in 1929 and published in 1930, and proved prophetic in every way. The English edition came out in 1940, with some revisions. It remains the most thorough analysis of stock-market bubbles from the point of view of the Austrian School. It demonstrates that the business cycle can and does affect stock markets and in unusual ways.